Rosy Hue is a design startup I'm in the process of launching that serves tourism hospitality businesses. 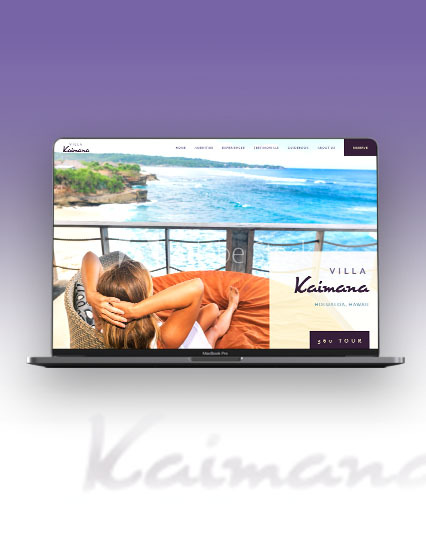 Potential renters will be much more likely to book if they click through a VRBO or Homeaway link and find a beautiful, custom website dedicated to fully expressing the unique experience of the accommodations. After creating our branding and logo, I moved on to have a first stab at the landing page design. I wanted to convey a sense or relaxation and luxuriation with personality, and overall I think that came across well. 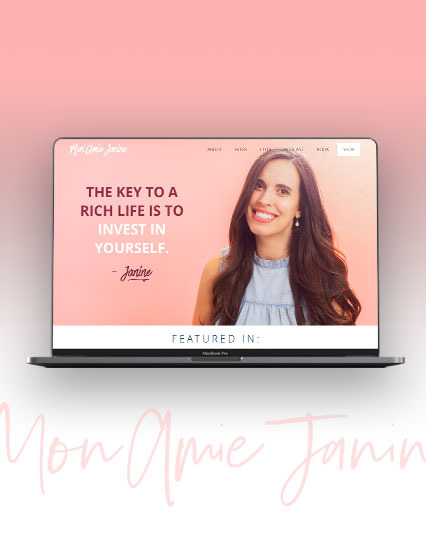 It was only once my partner in Rosy Hue and I went over the page that we came to realize the site needed to be decidedly property-centric; just a cool vacation-y feeling wasn't speaking to the market we aimed to serve. So, as any good designer must do from time to time (especially when nobody carried out the UX stage of the design process--not recommended for this very reason! ), I scrapped the result for a design that conveyed elegance in property as well as place.